Your smile is often the first impression you make on the world, and it can invite people to get to know you. Science shows us that great smiles create success in love, work, and social life. However, if you feel self-conscious about a gap (diastema) between your teeth, you could be holding back your smile, and holding back your success in life. Don’t let a little gap in your smile keep you from the confidence and self-esteem you should have. Dentistry provides multiple ways to close a hole in your smile and start appearing more confident. At Ria Family Dental, we often suggest Invisalign or Clear Correct to close gaps in the smiles of our patients. Orthodontic treatments help you achieve the straightened teeth that you’ve always desired. You don’t have to live your whole life with crowded and crooked teeth. Orthodontic treatments can move them into an ideal position. This can improve the appearance of your smile and even your face. Some people have upper front teeth that prominently stick out and look displeasing. These teeth are more likely to be damaged, but orthodontic treatments can move them back into place. When the upper and lower jaws meet, it can cause teeth an unsightly appearance and can lead to an irregular bite. Orthodontic treatments may be able to correct both of these problems. When the teeth don’t meet properly, this can put unequal pressure on the muscles of the jaw, causing jaw and joint problems and severe headaches. Orthodontic treatments can help you to bite more evenly and reduce the pressure. Here are some of the other potential solutions and how Invisalign and Clear Correct may provide better answers. A “set” of braces must be worn to fix a gapped or crooked teeth, and they may need to be worn anywhere from 6 months to a couple of years. Because the end of the treatment is uncertain, it can cost you a fortune. While they are in place, they are unsightly, difficult to clean, limit what you can eat, and can be irritating and painful, depending on the spaces and issues at hand. Braces pull the teeth into place, rearranging the smile into more straight and perfect alignment. Bonding is the process of applying tooth-coloured resin to repair damaged tooth. The resin applied can be adjusted into the appropriate color, shape, and finish to match the surrounding teeth. Bonding can be used as a tool to add width to teeth to close gaps. But it doesn’t solve the underlying problem, and it has a lifespan of about a decade – meaning every ten years or so you will have to come in for a touchup or replacement. Dental veneers are thin, custom-made shells of material, usually porcelain, that are attached to the tooth surface to look and fit your teeth, eliminating the appearance of gaps. But they do nothing to address the underlying problem, and they need special care to maintain, and eventually need to be replaced. Dental crowns are typically used to cover damaged teeth and restore function in your smile. However, it has become common to fit dental crowns around gapped teeth to create a perfectly aligned smile. The problem with this is that to place crowns you have to grind away perfectly healthy tooth material, and like the other options, crowns can chip, break, or even fall off. 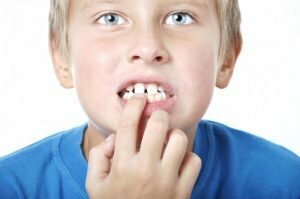 So, if all of these approaches have their disadvantages, what do we suggest as a long-term solution that addresses the problems underlying gapped teeth? We suggest clear aligners such as Invisalign & Clear Correct. Let’s take a look at how these treatments work, and why we recommend them. Clear aligners, a cutting-edge alternative to traditional (“train track”) braces, have quickly become the most popular removable (and subtle) dental braces. These clear aligners move your teeth into ideal position gently and gradually. Over time, the gap in your smile will gradually disappear! And this move is accomplished without the aesthetically unpleasant wires, brackets, and band associated with traditional metal braces. Clear aligners are made from customised moulds of your teeth, from medical-grade polyurethane resin that’s virtually invisible. The resin is also far more comfortable than the metal and/or ceramics of braces. Because clear aligners slide on and off your teeth, you can brush and floss your teeth as always, meaning you have an optimal level of oral hygiene. Traditional braces not only hide bits of food and bacteria, but they can trap them in the brackets and wires, leaving them in your mouth to cause plaque, decay, and gum disease. Similarly, the removability of clear aligners means you can take them out to eat and drink whatever you want. No more worries about hard or sticky foods. You can also remove your aligners while playing sports (which makes wearing a mouth guard possible) or other activities that require it, such as playing some kinds of musical instruments or signing. And when you are finished with your clear aligners, your teeth are genuinely fixed – the gap is gone – not the temporary fix of bonding, veneers, or crowns: fixes that cost money to repair and replace over time. Another advantage of clear aligners is you don’t have to keep returning to your dentist for checkups or adjustment – just every four to six weeks. It’s also easier to see treatment results at every stage of the process, which typically runs at just about a year, with the aligners being worn for about 22 hours a day, and swapped out every two weeks or so. Join the Ria Dental Family! At Yeronga’s Ria Family Dental, we offer comprehensive care for both your short and long-term dental care. We provide an honest, judgment-free environment with convenient, comfortable, and careful treatment to maximise your smile and oral health! We are located at 1/451B Fairfield Rd, with bus stops and Yeronga station nearby, with convenient storefront parking as well. For your convenience, we offer early evening hours on most weeknights. 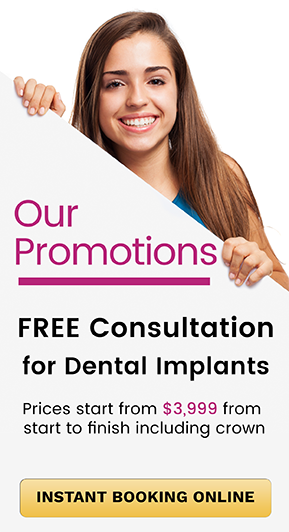 Yeronga dentist also serving local communities in Yeerongpilly, Annerley, Tarragindi, Rocklea, Fairfield, Tennyson, Graceville, Chelmer and Moorooka. Call us on (07) 3892 1331 or use our online booking service to organise an appointment. Online booking here!